In honor of an artist who worked on World of Warcraft and Diablo, and who passed away two years ago, Diablo devs secretly snuck a mini-event into Diablo III. It’s a special version of the famous Cow level and players found it pretty quickly. 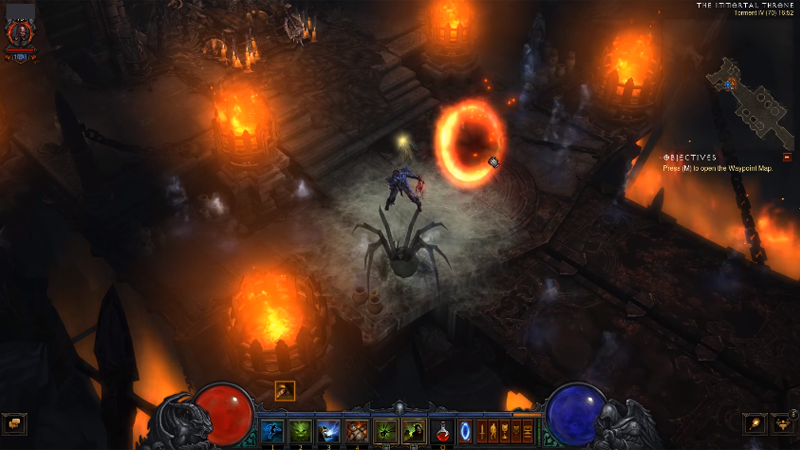 It’s very easy to unlock compared to other Diablo III secrets. You only have to go to Immortal Throne in Act III’s Ruins of Sescheron. The dungeon is randomly generated, but the throne room is always in the west-northwest part of the sanctum. Once there, Kanai’s soul will awake and open a portal to a special version of the Cow level. The Kanai event has actually been present since Patch 2.4.0 launched, but is only available during March – the real world birth month of Kevin Kanai Griffith, the artist for whom Kanai’s Cube (and King Kanai) is named. For those of you who may not know, Kevin was a talented and dedicated member of the Diablo III development team who passed away in October of 2014 from a rare form of cancer. It’s worth checking out the event quickly, especially if you haven’t seen the Cow level yet: According to Blizzard community manager Nevalistis, the portal to Kanai’s Stomping Grounds will be gone at the end of March.